A destination management company famous for its adventure and leisure travel, Red Lion Travel and Tours Private Limited is the place to go to if you are looking for discount travel and trekking. 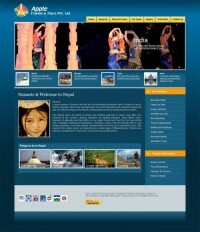 One of the leading travel and tour companies in Nepal, the company is authorized by the Government of Nepal. The company offers leisure holiday, special honeymoon package tours, Himalayan trekking, adventure vacation and mountaineering, eco tours, media tourism such as filming in Nepal, India and Bhutan, local city sightseeing and adventure activities along with providing air ticketing and accommodation facilities. The company with the motto “Where there is greenery, there is peace and happiness” also takes online booking from its clients through its official website. The largest full service trekking and tour operator in Nepal which is totally familiar with the destinations it offers is also the member of Trekking Association of Nepal (TAAN), Nepal Mountaineering Association (NMA), Kathmandu Environment Education Project (KEEP) and Nepal Tourism Board (NTB). Established with the major objective of meeting the needs of the clients and ensuring the safety of mountaineers, trekkers, geologists, scientists and anthropologists, Red Lion Travel and Tours aims to introduce Nepal to the world without destruction the ecology of the country. The company provides first rate services to each valued guest with a belief that the knowledge of the terrain and carefully planned arrangements for safety and comfort are also important to make a journey special along with the beautiful scenery of the place. The company has been successful to create a reputation for itself for having an excellent record of customer satisfaction and continued success which led to its expansion in services. It thrives to make sure that the clients receive the most accurate and efficient service guaranteeing quick answers to enquires and confirmation of booking request. The professional and experienced team members of the company has been able to create customer oriented travel plans and packages to provide quality services at reasonable price to the clients. Some of the packages offered by the company are Mountaineering in Nepal, Trekking in Nepal, Rafting, Sightseeing, Jungle Safari, Adventure Tour and Package Tour along with services such as international and domestic flight tickets, hotel reservation and vehicle hire.